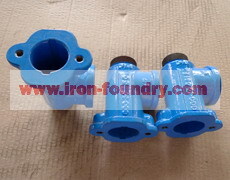 Cast iron pipe is a kind of pipe used in water supply networks mostly. The world's annual output of cast iron pipe is about 700 million tons and increasing quickly by the rate of 3% annually. China cast iron pipe production accounts for a quarter of world production. But cast iron pipe is small-scale, has low concentration, low precision cast iron pipe, low added value and the technology and equipment of cast iron pipe manufacturing is relatively backward. The awareness of clean production and environmental protection is poor, the energy consumption and the level of corporate governance lag behind. Currently, China has wide-ranging nature of the ductile iron pipe manufacturing enterprises more than 30, mainly in Liaoning, Shandong, Hebei, eastern and other regions, while few tube manufacturers distribute in south, southwest, and northwest. China has more than 200 casting plants, annual production of about 120 million tons, product specification DN50 - 2900mm. The industry now has a total of 24,000 enterprises, the size of the business grows rapidly to the end of 2010, and the number will grow to more than 3,000. The annual output of cast iron pipe and cast iron pipe fittings is about 6 million tons in foreign, actually, the U.S. accounts for 1500 to 1800 thousand tons, Japan's annual output is 90 thousand tons , France is 600 to 800 thousand tons in, Germany is 400,000 tons and British is 200,000 tons. Private enterprise dominates China's current cast iron pipe manufacturing industry, foreign enterprises are less and state-owned enterprises are few, but the basic foreign-funded enterprises in high-end market, and shift production to China is accelerating the trend. Foreign-funded enterprises are in high-end market and accelerating the trend of shifting productions to China. Now, with China's economic development, the implementation of the strategy of western development and the increasing transformation of the old distribution network, the application of ductile iron pipe expand gradually. China's domestic macroeconomic situation continues to improve and ordinary steel price is stable and low-impact, cast iron pipes are in good working situation and will maintain for a long time. The production and sales will continue to grow by a double-digit rate, the structure is further optimized, the production of ductile cast iron and aluminum castings will rapidly increase, and magnesium alloy cast iron will also draw widespread attention. 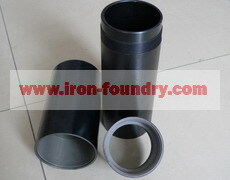 Cast iron pipe manufacturing industry has a brighter future.